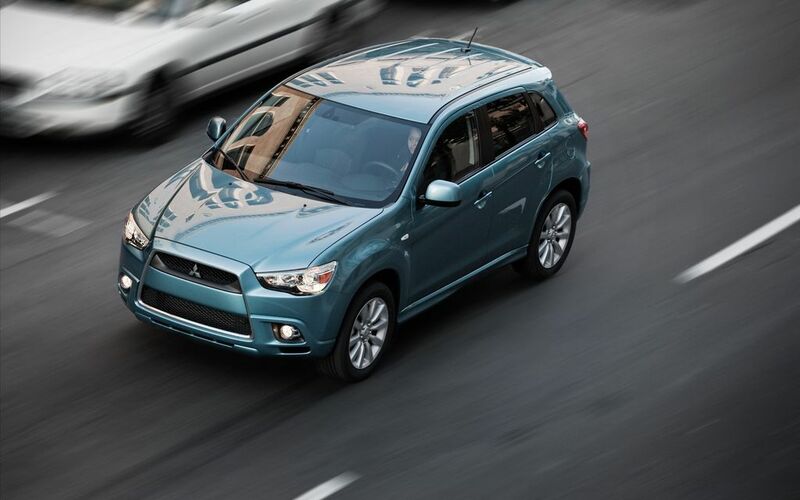 The all new-for-2011 Mitsubishi Outlander Sport is yet another exciting edition to the company’s crossover lineup that blends all of the upper-class amenities and excellent road-handling attributes of the popular Outlander into an eye-catching vehicle of more compact dimensions that is sure to appeal to a wide-range of consumers. What’s more, enthusiast drivers will welcome the opportunity to choose between an available Sportronic ® continuously variable transmission (CVT) with magnesium-alloy steering column mounted paddle shifters or a smooth-shifting 5-speed manual transmission. Powered by a revamped version of the potent yet fuel-efficient engine from the Mitsubishi Lancer, this 2.0-liter, inline-4-cylinder powerplant utilizes Mitsubishi’s advanced MIVEC variable valve-timing technology that makes adjustments to both the intake and exhaust valves, along with improved accessories (higher-efficiency alternator, electric power steering) and reduced-friction internal components that work in concert to help improve fuel efficiency while lowering CO2 emissions. 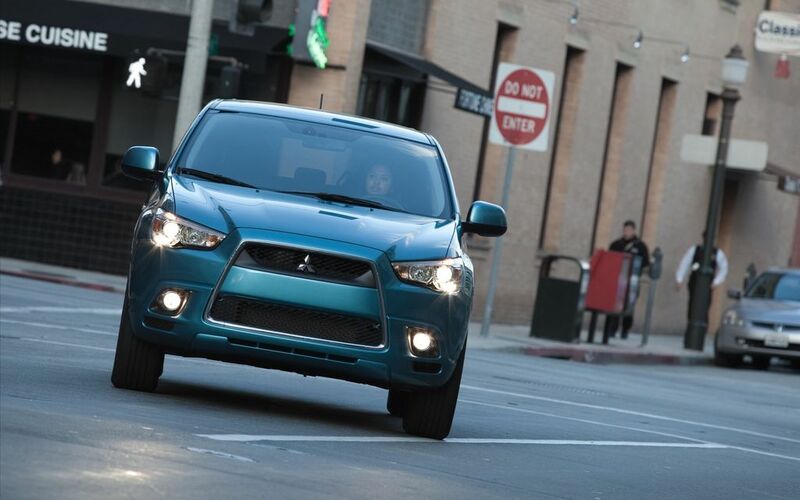 Mitsubishi’s signature shark-nose front end from the legendary Lancer Evolution high-performance sports sedan has been incorporated into the new Outlander Sport, giving the car a fresh and athletic look that truly sets it apart from the rest of the compact crossover segment. This wind-cheating design, working in harmony with the sleek, aerodynamically-enhanced Outlander Sport’s wind tunnel tested and computer-designed (CFD – Computational Fluid Dynamics) exterior, help give this handsome crossover the best aerodynamic performance in its class – a critical element in improving any car’s fuel consumption and ability to accelerate. 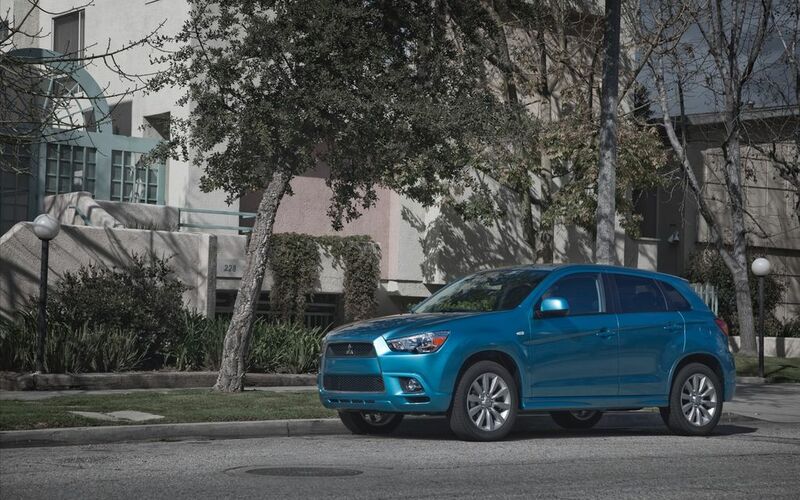 The Outlander Sport is available in the U.S. with a 2WD drivetrain (ES model) or in either 2WD or with a driver-selected, electronically-controlled 4WD system (SE model) that is identical to that found in its slightly larger sibling, the Mitsubishi Outlander. And while the 2WD ES model is available with either a 5-speed manual or the Sportronic ® continuously variable transmission (CVT), the 2WD/4WD SE versions come equipped exclusively with the high-tech continuously variable unit. While the ES includes a long list of standard features and equipment, the more upscale SE edition ups the amenities ante with attractive 18-inch aluminum-alloy wheels, super-wide beam HID (S-HID) headlamps, rain-sensing windshield wipers, auto on/off headlamps, upgraded interior fabric, one-touch Start/Stop (OSS) engine switch, automatic climate control with pollen filter and the FAST-key passive entry system. The well-engineered suspension system from the Outlander – consisting of a MacPherson strut layout at the front and a trailing multi-link at the rear – has also been carried over to the new Outlander Sport but has been tuned for optimal stability and ride comfort befitting the new model’s more compact dimensions. Should the accelerator and brake pedals be pressed at the same time, a brake override system will engage and bring the car to a halt. 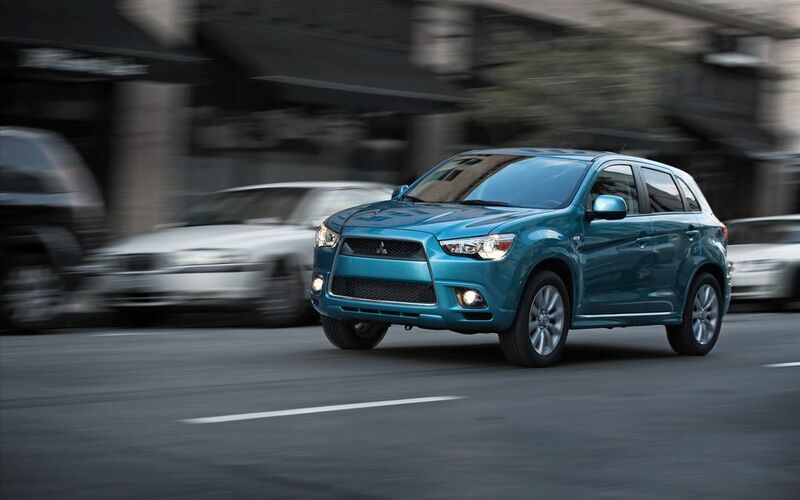 Safety is further heightened by the inclusion of such dynamic systems as Hill Start Assist, Active Stability Control (ASC), Traction Control Logic (TCL) and Anti-lock Brake System (ABS) with Electronic Brake force Distribution (EBD) & Brake Assist – all standard equipment on every Outlander Sport. Thanks to these comprehensive safety innovations, along with Mitsubishi’s Reinforced Impact Safety Evolution (RISE) chassis technology that dissipates energy in an accident to help protect occupants, the company anticipates 5-Star frontal and side crash testing scores from the National Highway Traffic Safety Administration (NHTSA). From the soft-touch, fine pebble texture dashboard to the selectively-used silver accents and chrome trim, the Outlander Sport’s cabin is as easy on the eyes as the car’s exterior is brawny and distinctive. All of the interior materials are of a high quality, while the center console and gauge displays look as if they have been sourced from higher class vehicle – especially when illuminated at night. In addition to numerous cup holders, handy storage cubbies designed specifically for storing a pen (glovebox), along with a cell phone or wallet (lower center console) give notice that Mitsubishi’s engineers are just as concerned with functionality as they are the design aesthetic. Advanced engineering, thoughtful design and strikingly good looks, mixed together into a “just right”-sized crossover for today’s discerning, more informed-than-ever automotive consumer. 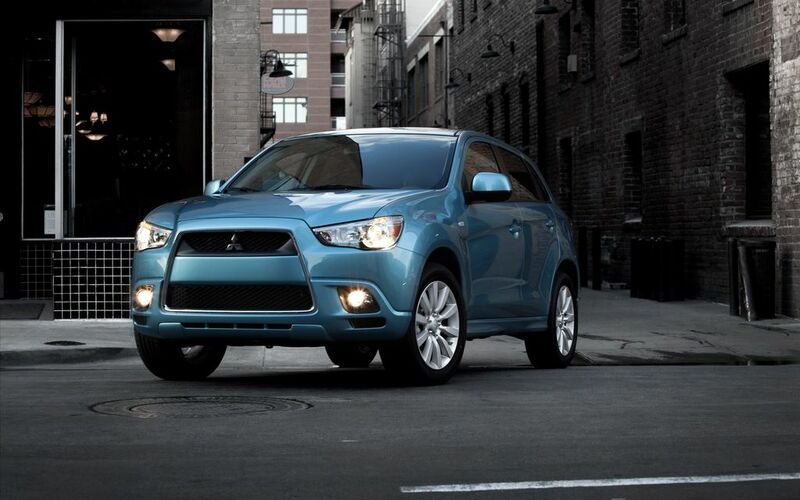 That’s the all-new 2011 Mitsubishi Outlander Sport.